Flower arrangements in the church are organised by a team of volunteers. The arrangements are renewed every week except during Lent when there are no flowers in the church. New members for the flower arranging team are always welcome. Arrangers work in a team of two and work on a rota renewing three displays in the church for two consecutive weeks. For major occasions such as Easter, Christmas and Harvest Festival, everyone comes in to help. 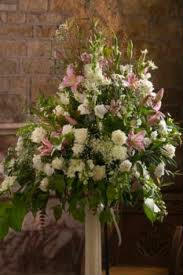 The cost of flowers is met out of a special fund to which all donations are gratefully received.